Writer of some of the most melodic and emotionally challenging pop music in the current era James Morrison possesses the voice to match – plus he’s no mean guitarist. The two million selling and counting debut Undiscovered, the title described by some as the least apposite for years, launched James onto the global stage with the sensational hit singles “You Give Me Something” and “Wonderful World” ramping up his appeal in the summer and autumn of 2006. The follow-up, Songs for You, Truths for Me, also did fantastic business. The key track “Broken Strings” featuring Nelly Furtado is a master class in tension and despair – one of the classic broken relationship ballads – and is co-authored by the gifted Swedish-born Nina Woodford (The Saturdays, Sophie Ellis- Bextor, Jamelia and others) and Fraser Thorneycroft-Smith: Grammy Award winner for Adele’s 21. Nominated for the Ivor Novello Award this track helped break Morrison in America and topped the European Hot 100. Anxiously expectant his fans had to wait three years for The Awakening. Described by the artist as “the real thing” this has deft touches of soul and arrangements reminiscent of Marvin Gaye or Stevie Wonder, the whole held together by Morrison’s expressive white soul voice and producer Bernard Butler’s ability to locate the art of the song. An emotional roller coaster, this disc arrived after a painful chapter in James’ life and several of the songs deal with his father’s painful death. The track “Up”, performed with guest Jessie J, is another stellar moment in Morrison’s career, proof that he connects with the listener in the most extraordinary way. Down to earth, yet deeply talented, let’s discover what else he’s been getting up to. Born James Morrison Catchpole in Rugby, Warwickshire he is no silver spoon public school educated fellow. He was brought up on a tough crime-ridden estate and recalls a childhood beset by poverty and personal sickness – Morrison contracted whooping cough as a kid and became seriously, near-fatally ill. And things got only worse when his father left and the family were made homeless. Mother Suzy remained a reassuring presence and the family moved several times before settling in Newquay, Cornwall, itself not the idyllic place remembered by holidaymakers but an area with a gritty undercurrent and plenty of social deprivation. On the plus side this part of Cornwall has a rich tradition of folk music and beach busking and Morrison discovered his latent talents, putting them to use in school band Peppermint Slug. Another discovery was a love for soul singers – Wonder, Al Green, Otis Redding and Van Morrison all had their effect and cast a spell. A move to Derby to find work resulted in him making a demo after a chance meeting with local guitarist/performer Kev Andrews at Ryan’s Bar. He was off. In July 2006 James, now signed to Polydor, released “You Give Me Something” and Undiscovered. Overseen by the noted British producer Eg White (Adele, Will Young, Natalie Imbruglia, Duffy et al) the honest emotion of Morrison’s material struck a chord with the public. Former Simply Red keyboards man Tim Kellett and multi-instrumentalist Steve Robson were useful aides but Morrison’s vocal strength carried all before him and the pure pop and radio friendly nature of the disc sealed the deal. A five times platinum disc meant that James didn’t stay undiscovered for long and we’d urge you to return to this bold album and enjoy its many delights. The expanded UK version also includes two of his earlier compositions, namely “How Come” and “Better Man”. Singles aside there are plenty of overlooked gems here. “Call the Police” and “The Last Goodbye” showcase an emerging star. Songs For You, Truths For Me - love that title - pictures a solitary looking man sitting on the kerbside deep in thought. If he had much to ponder as fame overtook his life he wasn’t afraid to reflect that in another thirteen self-penned songs. Again the accent is on reflective soul bearing with harsh personal insights on “Broken Strings” and “Nothing Ever Hurt Like You”. You’d need a hard heart not to succumb to the sentiments expressed in these magnificent tracks. We steer you towards the Deluxe editions where a DVD – Live at Air Studios – and an expanded version with acoustic interpretations (The Basement Sessions) new songs and a cover of Michael Jackson’s “Man in the Mirror” throw more light on this artist’s psyche. A very steady seller for well over a year, Songs… received positive acclaim, triple platinum sales in the UK and a top fifty placement in the US. 2011’s The Awakening sees the artist moving into fatherhood and examining his relationship with his deceased father. Suede’s legendary guitarist Bernard Butler proves an ideal foil with British producer and songwriter Mark Taylor (Cher’s Grammy winning Believe is one of his many fine moments) putting icing on the cake. Awakening debuted at #1 in the UK and broadened Morrison’s reach in Europe and Scandinavia with Sweden, Denmark and Finland being staunch supporters. Evoking a brand of classic soul with great lyrics this is James at his best. For a taste of the man on stage the Digital Deluxe edition offers five Live at the iTunes Festival, 2011 songs and a lush but stripped back acoustic take on “Person I Should Have Been”; as fine a slice of masculine folk/soul as you’re likely to hear these days. At time of writing James is busy working on his fourth disc. We’re guessing we might hear that in autumn. Meanwhile you can also hear him on a new tune, though one he wrote many years ago, called “Lonely People” that he’s cut with “super talented house music geezers” iLL BLU – London City 4x4 garage and 2-step specialists. We echo that sentiment. Undiscovered? Not any more, he’s not. What separates James Morrison from fellow Brit singer/songwriters like James Blunt and Daniel Powter is his taste for soul. Sure, this may have been fostered in part by his fondness for Elton John -- whose presence is as inescapable in Morrison's music as it is in Blunt, Powter, or any number of modern-day pop troubadours -- but Morrison picks up on the splashy soul of John's middle-period, weaving in elements of Stevie Wonder and Van Morrison to create a retro-soul vibe that's more about the song than the groove. This is more true on Songs for You, Truths for Me than it was on his 2007 debut Undiscovered, as he piles on horn sections, sings with a gruff studied soulfulness, and even cribs from Van's "Crazy Love" on his own "Precious Love." All this soulman posturing can come across as a bit too earnest, but it does give Morrison a heft and measure of grit missing in the simpering Blunt, which lends Songs for You some pleasing sonic textures not all that dissimilar to John Mayer's Continuum, but Morrison isn't just about sound, he can construct good pop songs, especially when he goes for big, bright hooks, as he does on the '70s soul pastiche "Save Yourself" and "The Only Night," which recalls Elvis Costello in his Get Happy! phase. These talents kind of contradict the soul-baring promise of the album's title, but Morrison kind of drags when he gets into ballad territory, like the Nelly Furtado duet "Broken Strings." He's better on easy rolling numbers like "Please Don't Stop the Rain" or when he puts a bit of a kick in the tempo, as the energy accentuates his popcraft, which is more energetic, forceful -- and, yes, soulful -- than his peers, something that comes into sharp relief on this solid sophomore affair. James Morrison may be considered as one of the U.K.'s premier soul talents, but the Warwickshire singer appears to have a bit of a downer on his career of late, having recently stated that he's "sung too many love ballads," and that he hated making his last album, Songs for You, Truths for Me, after being pressured by his former Polydor label to repeat the formula of his million-selling debut. With several songs relating to his alcoholic father's death on his third effort, The Awakening, the husky-voiced guitarist appears to have rectified one of his issues, but despite the presence of Suede's Bernard Butler as producer, it's difficult to hear how he's made any attempt to deal with the other. 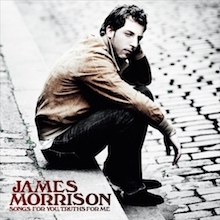 Seemingly designed to make Radio 2 listeners hearts flutter, "I Won't Let You Go" follows the same heartfelt, acoustic, tearjerker template as his previous two lead singles; the toe-tapping Motown pastiches "Beautiful Life" and "Forever" show that Morrison's retro leanings are still very much apparent; while there's even a "Broken Strings"-style duet with Jessie J on the orchestral, midtempo "Up." Pleasantly inoffensive and lushly produced as they are, they don't exactly live up to the radical reinvention that his rather dismissive comments indicated, and it's only on the funky R&B beats and Michael Jackson-esque chorus of "Slave to the Music," and the sparse, gospel-tinged blues of "Right by Your Side," where Morrison begins to show some of the invention that was allegedly so heavily restricted on his previous effort. However, lyrically, he's never been better, with the heartbreaking themes of loss on "In My Dreams," "6 Weeks," and "Person I Should Have Been," the latter based on a poem inspired by the last conversation he had with his late father, more than fulfilling his ambitions of "wanting to go a bit deeper and find more substance." But until Morrison manages to infuse some of this raw honesty and emotion into his sound, he's always going to struggle to create that one great record that his impassioned and soulful voice deserves. 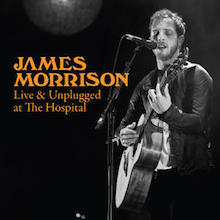 James Morrison performs an unmissable set covering both new and old tracks, live from the Hospital Club in London in 2012. 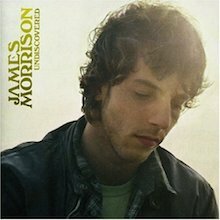 James Morrison's debut had already gone platinum in Britain before it was released in the U.S., and the young singer/songwriter has scored hit singles at home. With a pleasantly soulful voice that faintly recalls Stevie Wonder, he offers several slices of polite soul-pop that deftly manage to recall the heyday of soul while still managing to sound modern -- a neat balancing trick. However, smooth as Morrison sounds, for much of the album there's a distinct lack of passion in his voice -- and that's a prime ingredient of real soul music. Only on "Call the Police" does he summon any real anguish. "You Give Me Something," his first British hit, is catchy and memorable, but not a classic. Indeed, this is an album without soul classics. Ultimately it's more a piece of pop, but there's nothing wrong with that. Time will tell how ephemeral the songs will be, but Morrison shows here that he might become a real talent with some age and work, and maybe a little personal pain wouldn't hurt. He has a hand in all the songs here, showing definite qualities as a writer. Again, time will tell.